Garden furniture can positively change the look and feel of any garden. 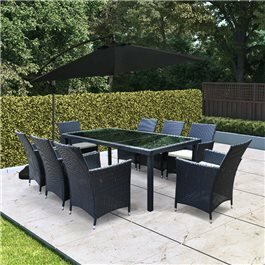 Providing the option to dine alfresco or relax in comfort with family and friends, garden furniture sets can even provide luxury for guests when hosting garden parties during the warm summer months. 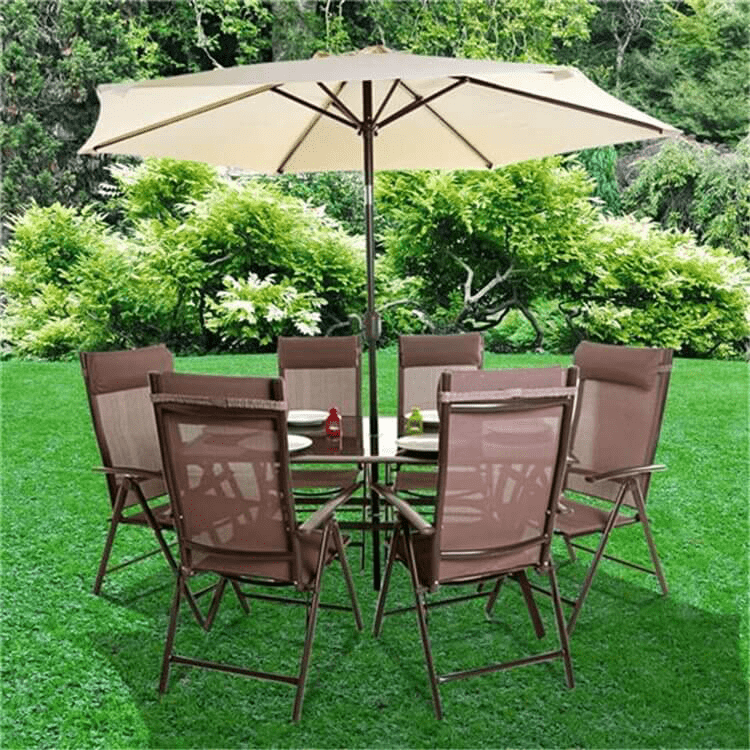 Some even say that buying garden furniture can be compared to the feeling of relaxing outside when on holiday. Alternatively, if you are simply looking to spend more time in your garden but are unsure how, investing in garden furniture could be the answer. Imagine relaxing outside on a comfy piece of rattan furniture such as a garden sofa, folding chair and other types of garden seating. You then grab a cup of tea whilst picking up the newspaper and breathing in the cool summer air. And, when the weather turns cold, you can move your outdoor furniture indoors and create a second living room as our garden furniture doubles up as great conservatory furniture too. 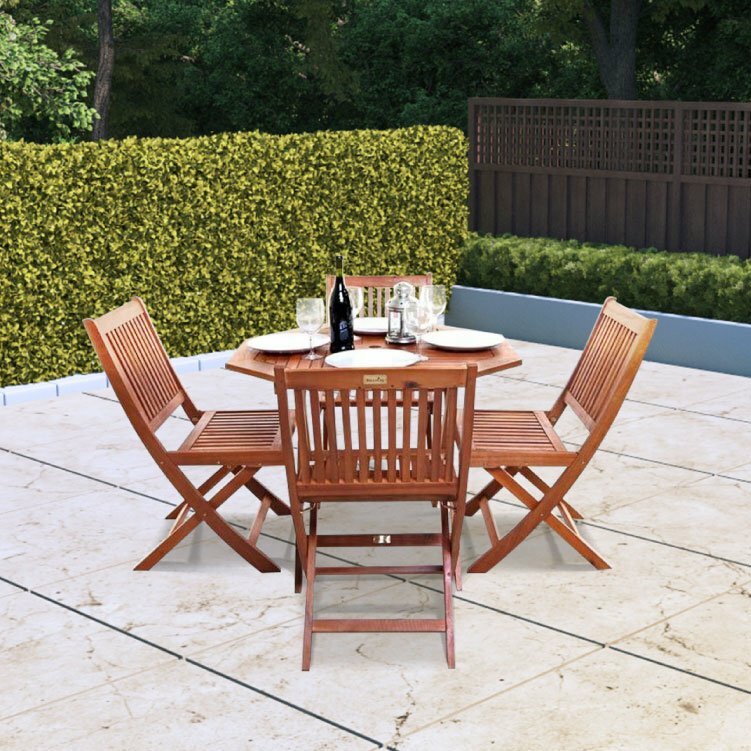 We believe that a garden isn’t complete without garden furniture as, come rain or shine, garden furniture offers appealing decoration for you to create your perfect outdoor oasis. Reminiscing great holiday memories, we have dreams of warm, light evenings abroad or enjoying the British seaside. It’s true to say when we are choosing garden furniture, especially lounging sets, we want to be reminded of the holiday feeling, spending time in the glorious sunshine, looking out into tranquille views, whilst being surrounded by our favourite people. Perhaps, that’s why we are often drawn to rattan garden furniture. 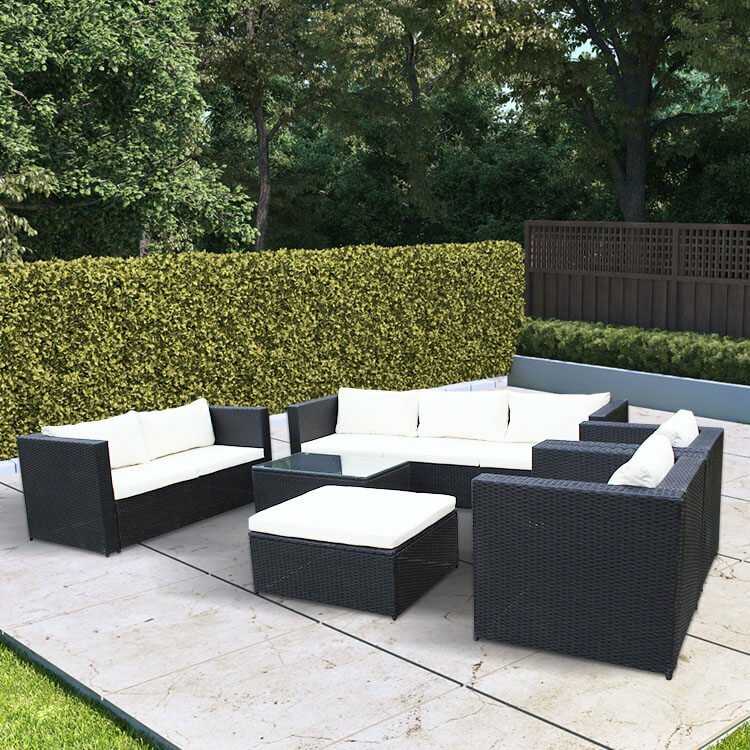 In our opinion, rattan furniture is perfectly suited to a modern, British garden. The low maintenance design means it’s ideal for leaving outdoors all year round, and better yet, the garden cushions have covers that are machine washable. With help working out which rattan furniture set is right for you, have a read of our best value rattan garden furniture blog. 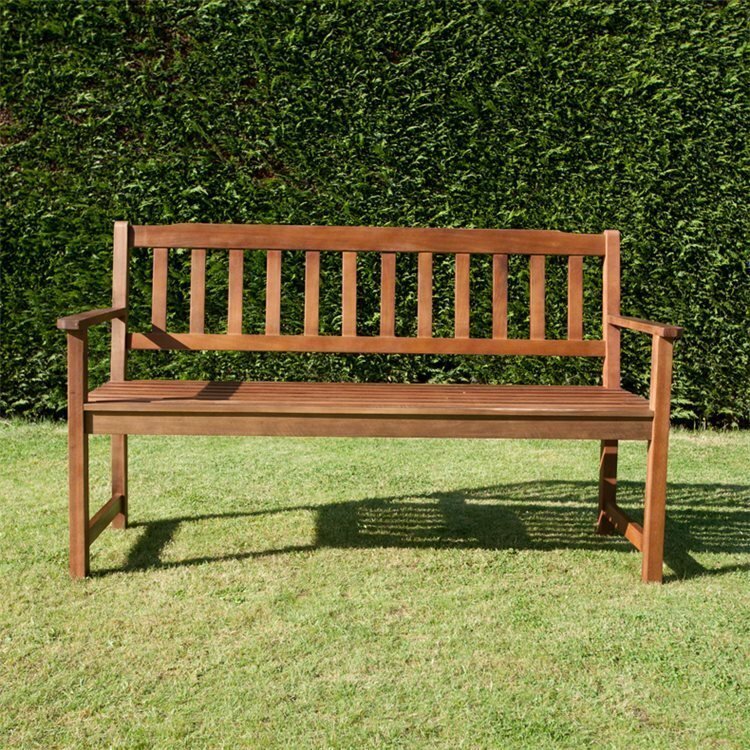 Alternatively, we also offer wooden garden furniture. Perfectly suited to the English countryside, relaxing with a loved one whilst enjoying a chilled gin and tonic has never been easier. In some cases, a number of our wooden furniture sets, such as the Hampton or Windsor, utilise a foldable design to make storing them as easy as possible. Worried about leaving your furniture outside in the cold and wet weather? No need as our foldable wooden furniture can easily be stored away in a shed along side your gardening tools and garden power tools without taking up too much storage space. On the other hand, if you're interested in a comfy new garden furniture set at a bargain price, our cheap garden furniture is ideal. 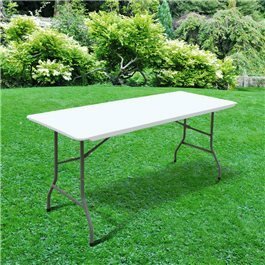 Find that special high quality item you’ve been longing to add into your garden at a price comfortable within your budget. BillyOh garden furniture is catered to match different types of garden as well as varying personal taste. From loungers to sofa sets, dining sets, wooden benches and even parasols, there is a chance you’ll enjoy relaxing outdoors more than you do indoors! From lush locations around the world to memories of days spent on beaches and enjoying the green countryside, this is why garden furniture makes us feel like we are on holiday. Your garden can offer the perfect escape from the stresses of everyday life and become your outdoor oasis. 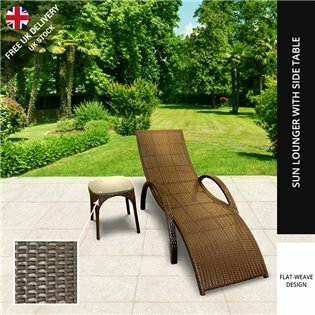 With the addition of BillyOh garden furniture, you can create the relaxed ambience you long for. Shop our wonderful range of products today and turn your garden into a space you’ve always dreamed of. Garden furniture positively changes the look and feel of any garden, providing the option to dine alfresco or relax in comfort with family and friends. It also provides luxury for guests when hosting garden parties during summer months. 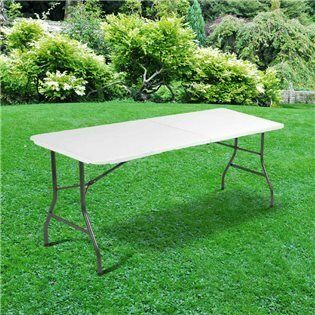 Buying garden furniture can be compared with going on holiday. It's true to say that the garden isn’t complete without garden furniture. Come rain or shine, garden furniture offers decoration for you to create your perfect outdoor oasis. Whether you’re looking for a rattan sofa set which is suitable for your large family or a bistro set for just the two of you, the garden furniture you choose will be based upon your garden style and the ambience you want to create with it. Reminiscing great holiday memories, we have dreams of warm, light evenings abroad or enjoying the great British seaside. It’s true to say, when we are choosing garden furniture we want to be reminded of being holiday and spending time in the glorious sunshine and surrounded by tranquille views and all of our favourite people. Perhaps, that's why garden furniture is often named after exotic holiday destinations, like our rattan sets. A relaxed rattan bistro set plucks memories of relaxing on a Greek Island resort, with a tempting side of olives and feta placed on the coffee table below. This setup would look as equally brilliant in a modern, British garden. The balcony set exudes the feeling of luxury and relaxation! Spend the warm, summer months chatting with a loved one or friend in total comfort and style. The low maintenance design means it's ideal for leaving outdoors all year round and the plush cushion covers are even machine washable. Practical as well as stylish. 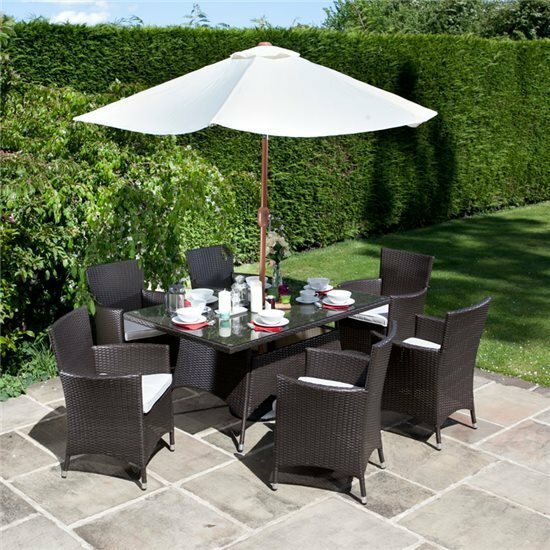 If you are more used to summer holidays spent in the English countryside, then our Windsor and Hampton bistro sets are perfect garden furniture for you. Relaxing with a loved one and enjoying a chilled gin and tonic, these bistro sets have an understated design which complements any garden. We wanted to encapsulate this country feel with a simplistic, wooden material. Perfect for a small patio area, you can create English country charm even on a city balcony! Take yourself out of the city and into the green countryside whilst enjoying your morning cup of coffee! A compact wooden set such as the Hampton or Windsor are full of style and have a foldable design to make storing them as easily as possible, as well as saving on valuable outdoor space. These are available in durable Acacia or Eucalyptus hardwood and can be complemented by plush cushions in a variety of colours to suit your taste. The same effect can be created with a simple but stylish wooden bench. Memories of enjoying a cone of chips in Whitby whilst sitting on a bench. There’s nothing better than taking in sea views and letting the world pass you by. A wooden bench provides a garden with the same happy-feel. Taking time to relax and enjoy views of your garden is a pastime that we are sure to make the most of whenever we get the chance. Reminiscing on moments well spent is one of the ways we all use garden furniture. Another piece of garden furniture which symbolises everything great about British seaside is the deck chair. Our reclining chairs offer the same feel as the classic deck chair. Lean back in multiple reclining positions and let your troubles simply melt away. 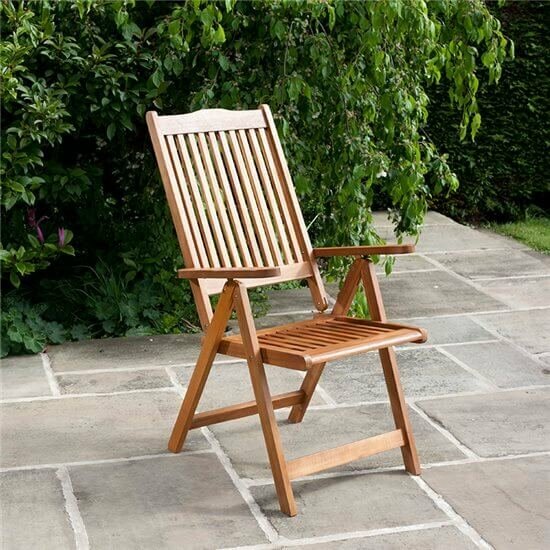 Our wooden chairs have a traditional design which is perfect for spending time in your garden. They are also a great seating option for your garden parties or when friends turn up unexpected during summer! If you're after a more exotic beach feel, a sun lounger is the perfect piece of garden furniture to create that holiday vibe you want! Shop our wide range of sun loungers, in contemporary curved styles to more traditional sun loungers. Why not be transported to the Caribbean where you can enjoy a Pina Colada in luxury style! At BillyOh, you'll also find garden furniture which has an Italian flair. If you’ve dreamed of days spent in Italy, look at our wonderful Siena and Modica rattan ranges which have been designed to offer your garden a luxury, mediterranean feel. Crafted with a modern and stylish design, you can find everything from dining sets to sofa sets in these stunning rattan ranges. Enjoy your favourite Italian dishes on your new dining set and give your garden the slice of Italy you long for! High-quality synthetic rattan means the garden furniture is durable and well-equipped for the sometimes harsh British weather. 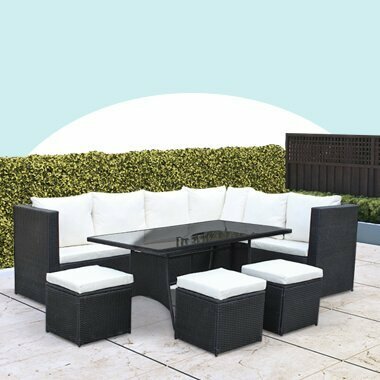 These garden furniture sets are complemented by ivory white and cream cushions which add style and comfort to every set. A glassed topped table means you don’t have to worry about your favourite bottle of red being spilt on your stylish table. Simply wipe the glass for a no-fuss alfresco dining experience. Reminiscing the Amalfi coast, you will probably need a luxury parasol to offer welcoming shade for your guests. 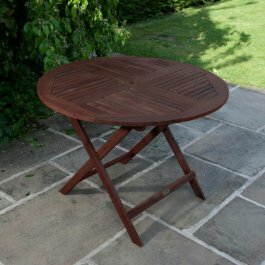 Check out our array of garden furniture accessories. 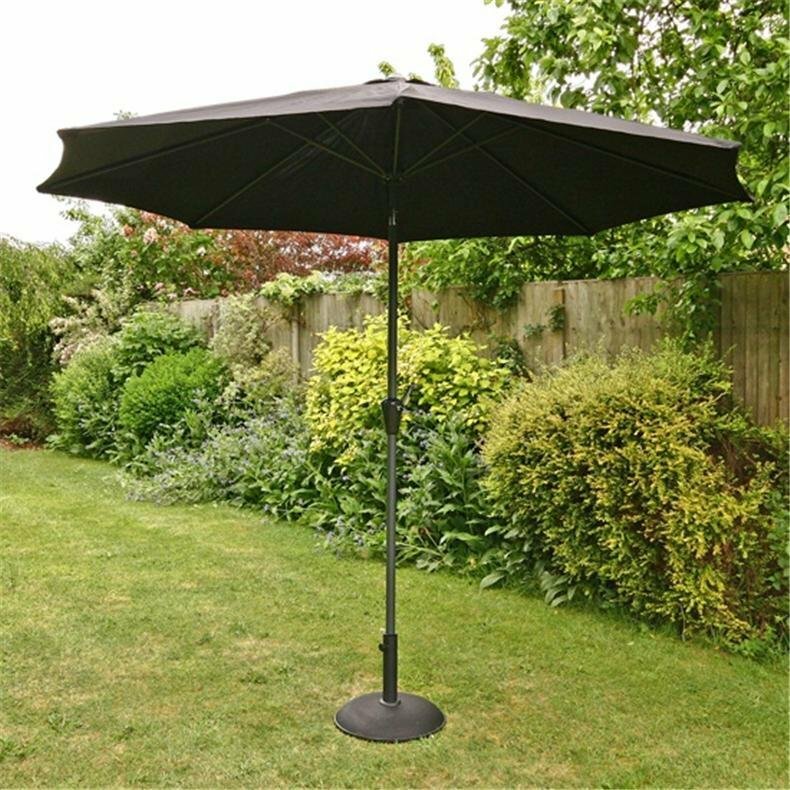 The Cantilever Parasol in black, tan and beige wouldn’t look out of place at any holiday resort. 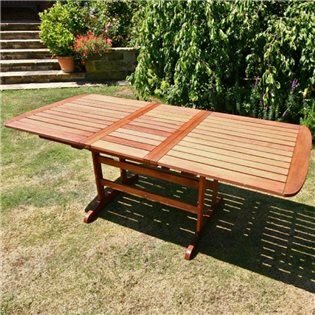 BillyOh has a fantastic range of garden furniture to match different styles and dream destinations from loungers to sofa sets, dining sets, wooden benches and even parasols. Don't forget to check out our cushions which will add extra comfort to your dining set or loungers. From lush locations around the world to memories of days spent on beaches and enjoying green countryside, this is why garden furniture makes us feel like we are on holiday. Your garden can offer the perfect escape from the stresses of everyday life and become your outdoor oasis. With the addition of BillyOh garden furniture, you can create the relaxed ambience you long for. Shop our wonderful range of products today and turn your garden into a space you’ve always dreamed of.